2019 will be the 7th edition of the toughest Peak District sportive. 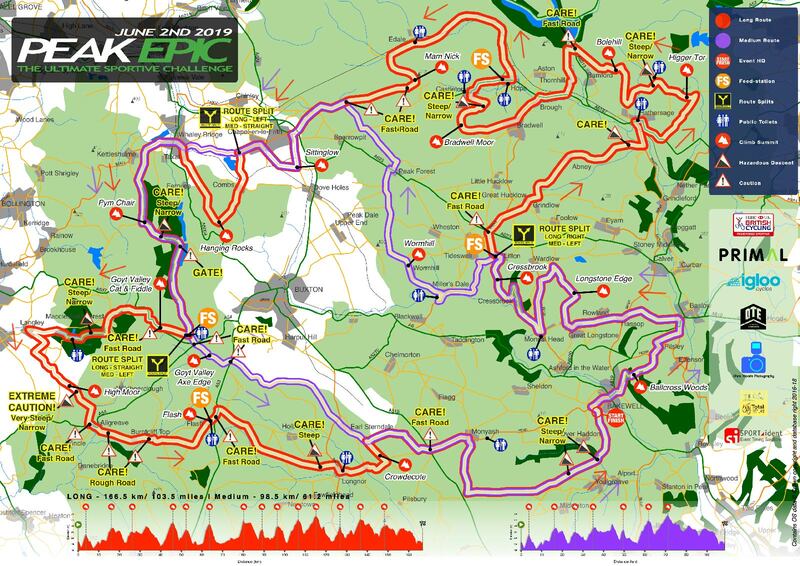 The Peak Epic is one of the UK’s most challenging road cycling events. Comparable to the Fred Whitton and Dragon Ride. The ride starts and finishes from Lady Manners School in the beautiful Peak District market town of Bakewell. The truly epic long route ascends 4000m/ >13000ft in just 166km/ 103 miles, across the full breadth of Peaks taking in the Hope Valley, Edale, Chapel-en-le-Frith, The Goyt Valley/Cat & Fiddle, Macclesfield Forest, Axe Edge, Longnor and finally Lathkill Dale. In addition to the long route there is a Medium route – for full route details see the maps and profiles below. The Peak Epic is a British Cycling registered sportive run under BC rules and regulations. Online Entry is through Si Entries please see below. The majority of parking is on onsite at the school, please park as directed by event marshals. Once the onsite parking is full please park sensibly on the streets nearby i.e. don’t block any residence drives. Please car share wherever possible! 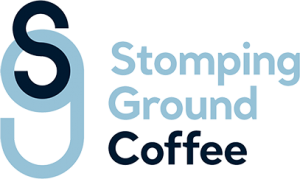 The Stomping Ground Coffee Van will be selling high quality coffee before the start to provide you with that extra kick. We advise all long route riders to start before 8:30am to ensure they reach the cut off times!! At registration you will have to sign on, where you will be provided with a SPORTident Card ‘dibber’ (a small plastic tag about 2″ long with a timing chip in it) and a detailed route map. The detailed route map will include positions of feed-stations/control-points, public toilets and route split points. This is your own personal guide to the route, the route will be clearly marked but if you are ever unsure of where you are please refer to your map. Please keep your map with you for the duration of the event. Timing Chips/Dibbers MUST be returned to the registration desk after you have been through the finish, if you don’t (a) you will not be classed as a finisher and (b) you will be invoiced for the cost of the dibber (approx £30). All finishers will receive a GOLD, SILVER or BRONZE finishing certificate. We also believe women should have separate timing awards to make gold certificates more achievable. 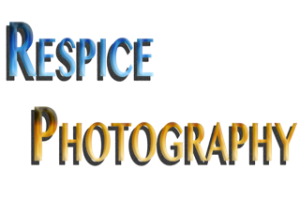 Coline from Respice Photography will be on hand to capture you hard efforts.